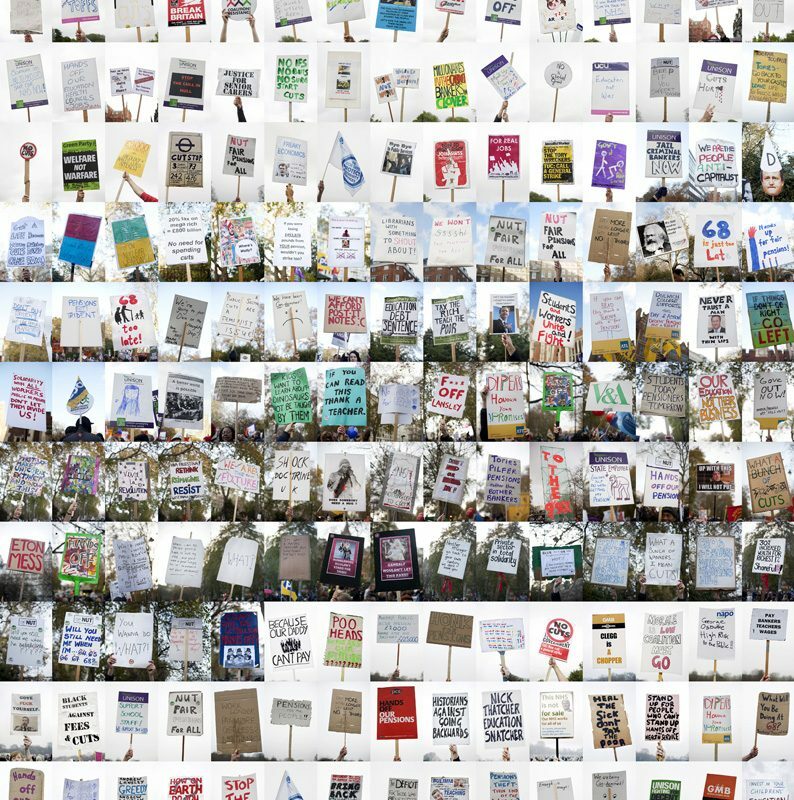 As part of this year’s Format Photography Festival I will be exhibiting an eclectic collection of original protest placards collected from UK demonstrations against economic cuts. The placards form part of my Let This Be A Sign series and will be exhibited in Derby’s stunning Silk Mill building, which stands on the site of the world’s first factory and is the gateway to the UNESCO World Heritage Site. Trade Union artefacts from The Silk Mill collection will also be on display.The museum is the location of the historic ‘Derby Turn Out‘ when the silk workers, supported by their colleagues in other trades, left work from November 1833 to March 1834 to defend the right to combine in a Trade Union. As part of the exhibition, we’ve also organised a Placard Making Workshop. So what would you protest about? Taking inspiration from ‘Let this be a sign’ you can make your own placard, photograph yourself and upload the images to Derby At Work. The event is being run in collaboration with Guy Atkins from Make The March and 50K Club. 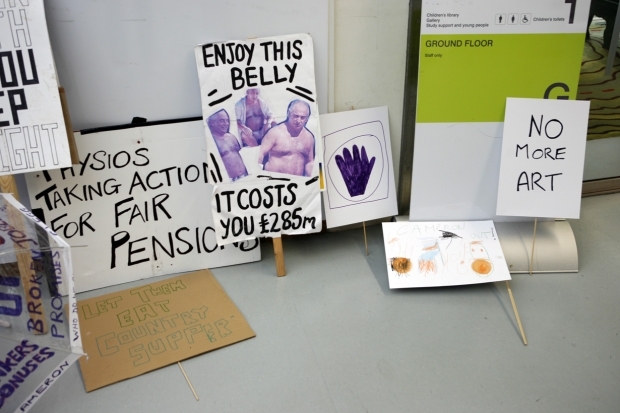 You can find out more here- http://www.formatfestival.com/events/make-your-own-placard-workshop.